You'll also receive double the amount of Skip Ticket+ from your purchase! Use Skip Ticket+ to instantly earn rewards from quests even if you haven't cleared all the objectives! ・Customers that purchase the Weekly Jewels Extravaganza deal will receive 50 additional bonus Jewels (for a total of 3,050 Jewels). ・Skip Ticket+ will not be rewarded for Weekly Jewels Extravaganza purchases. ・Please note that while the confirmation message that appears when purchasing Jewels will not include the bonus amount, the bonus amountwill be added to your account upon purchase. Prince Phillip and Princess Aurora Avatar Boards! ★ Dress up as your favorite Enchanted Dominion characters! Prince Phillip and Princess Aurora avatar boards are now available! Wake up! 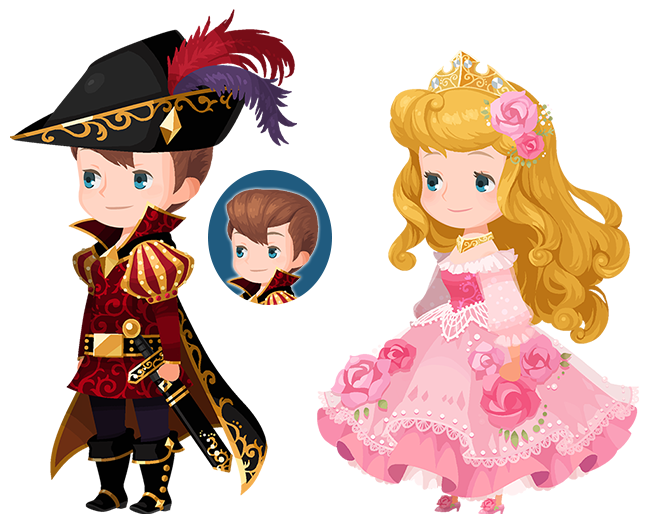 It's time for you to get up and get dressed with the Prince Phillip and Princess Aurora avatar boards, for 2500 Jewels apiece! Returning Supernova - KH III Kairi Deal! 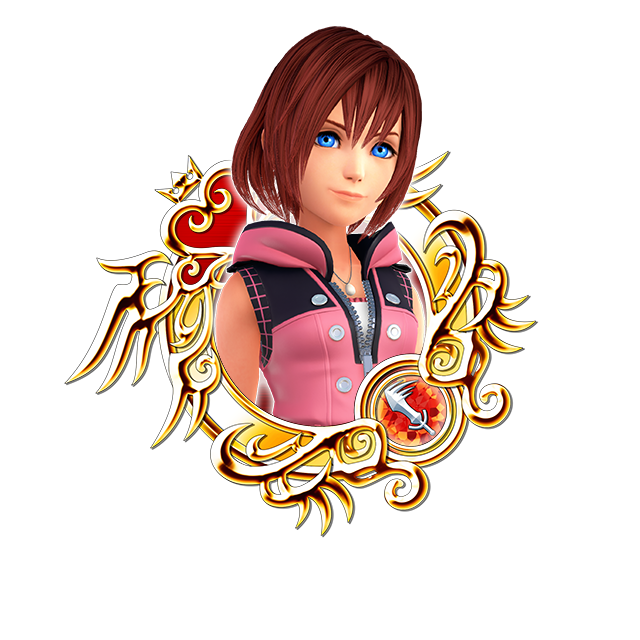 ★ The Supernova - KH III Kairi Deal has returned! This time you'll receive 10 Limited VIP Coins per draw! The Supernova - KH III Kairi Deal has returned! You can unlock the exclusive VIP Draw by purchasing the current Weekly Jewels Extravaganza! ・10x Limited VIP Coins ・One Trait Medal #61 per draw!